Whenever I mention Snorkelling to people in the UK, the conversation always turns to warm seas abroad with coral reefs and normally tales of the shark that spooked them. 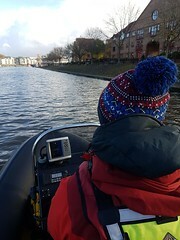 But not only does the UK have an abundance of wildlife in the rivers and surrounding coastline, but there are certain lakes that are not only full of life, but also have snorkelling routes, lessons and guides set up. 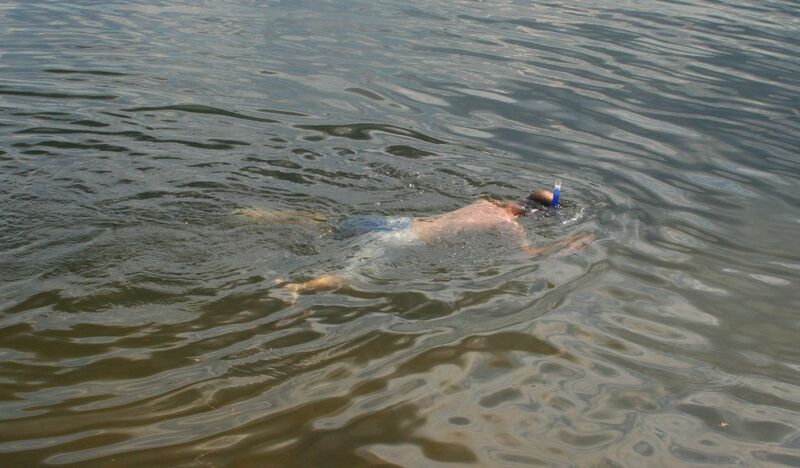 Whilst visiting a lake ran by South Cerney Outdoor, I noticed on their website that they did guided snorkelling tours in the lake. They kindly gave me permission to get my own mask out and go for a dip, which on such a lovely warm and sunny day was irresistible. I stripped down to my shorts and got in to the water to explore. I was expecting the water to be rather cool, but it was actually fairly warm. 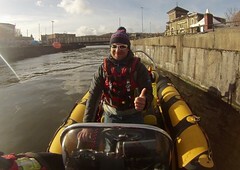 Let’s not kid ourselves, the water in the UK is definitely colder than foreign seas, but don’t let this put you off. I eased into it, just using gentle kicks in the shallows, looking for anything interesting, and it didn’t take long before I came across a shoal of Perch. They were gently cruising about looking for something to eat, and they didn’t seem to really mind me being there. When you’re in the water they see you as less of a threat, so you can often get up close and personal with many fish species. In the past I have snorkeled within inches of Trout in rivers, and once put my hand out to one and it gave me a once over looking for food. You just don’t get interaction like that unless you are submerged in the water. 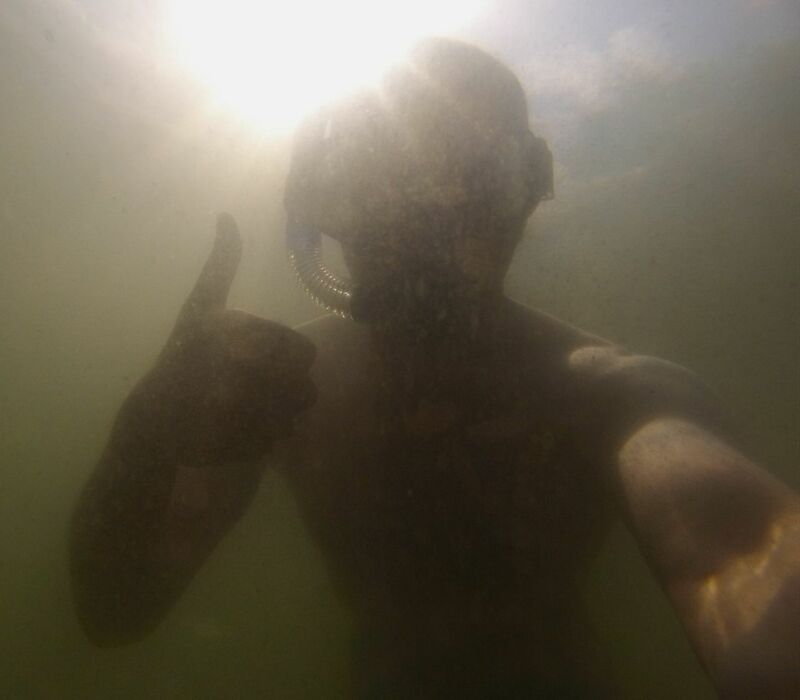 I soon found myself snorkelling over weedy areas with the occasional cleared gravel bar, each area full of life from fish, to crayfish, to water beetles. I was hoping to see one of the huge carp that live in the lakes, but no joy there. It was a really nice little snorkel session, and another sneaky peak into the underwater world we don’t often get to see! If you would like to snorkel in the lakes of the UK, then I would suggest you read the safety advice from the British Sub Aqua Club, or go on a guided tour like the ones ran at the South Cerney Outdoor Centre. You might just be surprised what you will see in the waters of the UK!